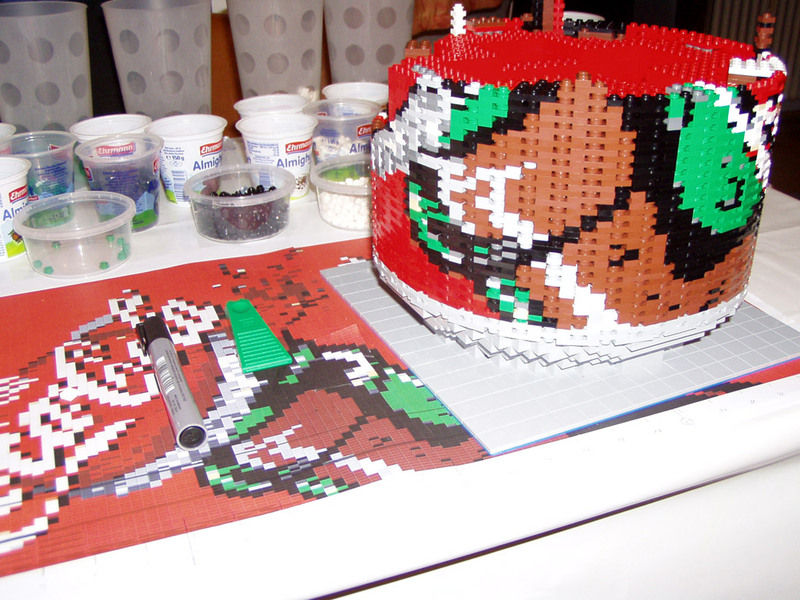 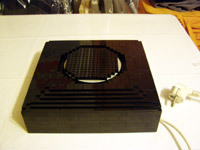 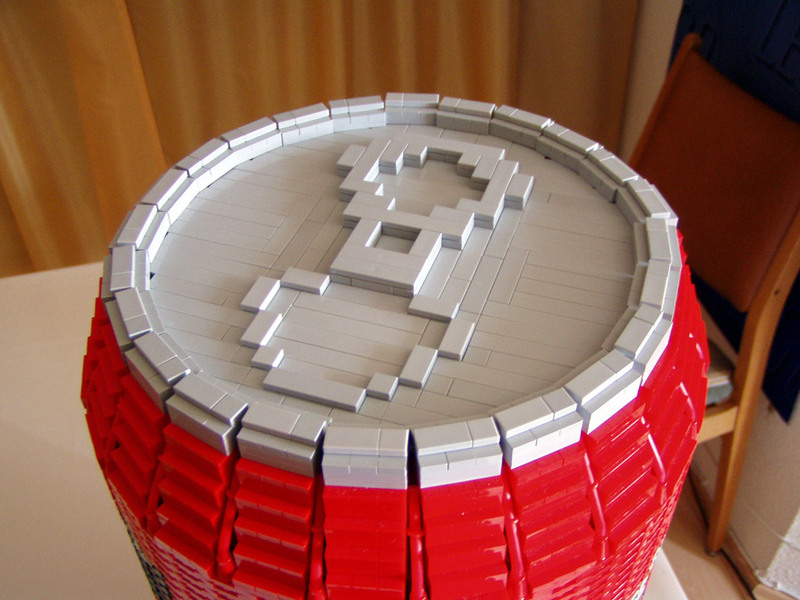 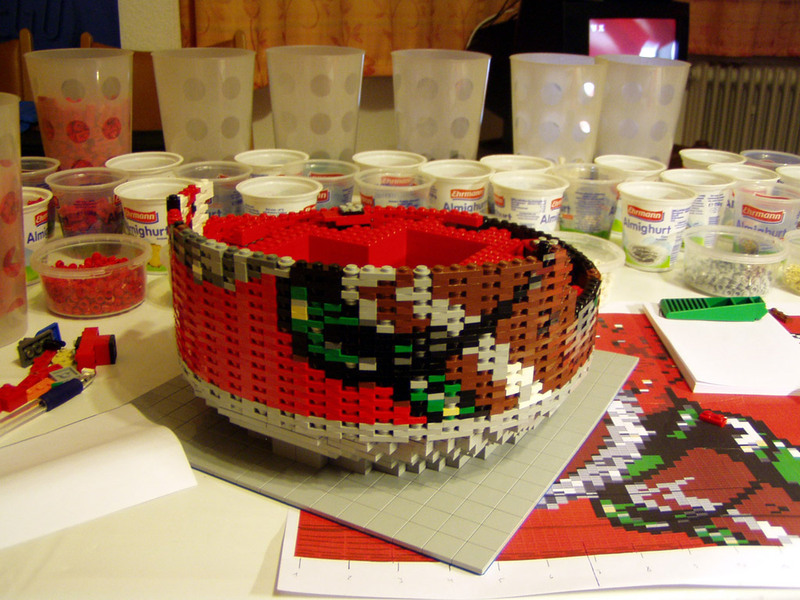 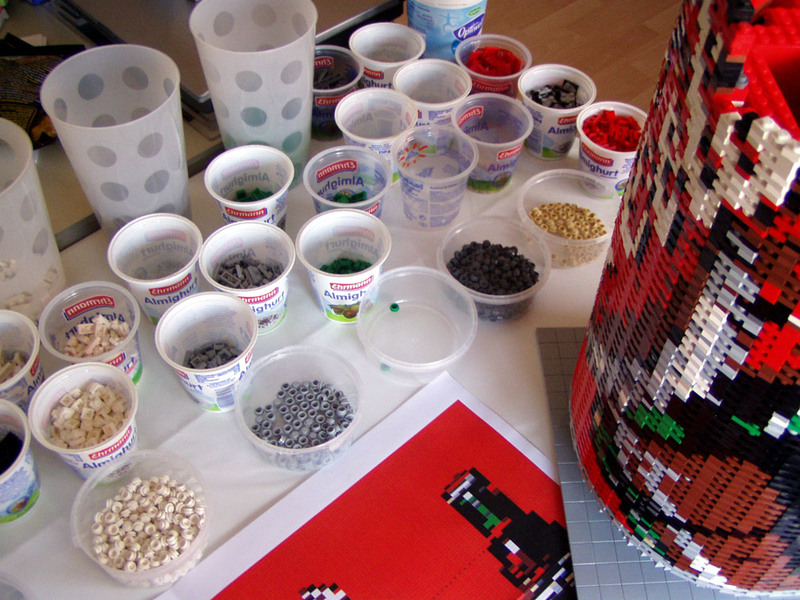 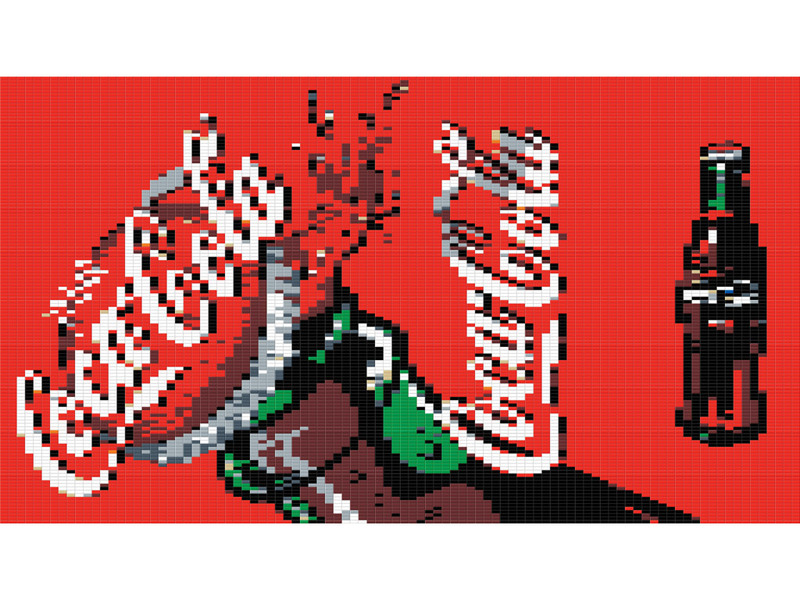 I had the idea to create a three-dimentional mosaic shortly after finishing the mosaic software PicToBrick. 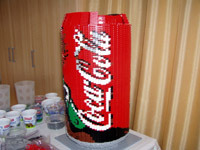 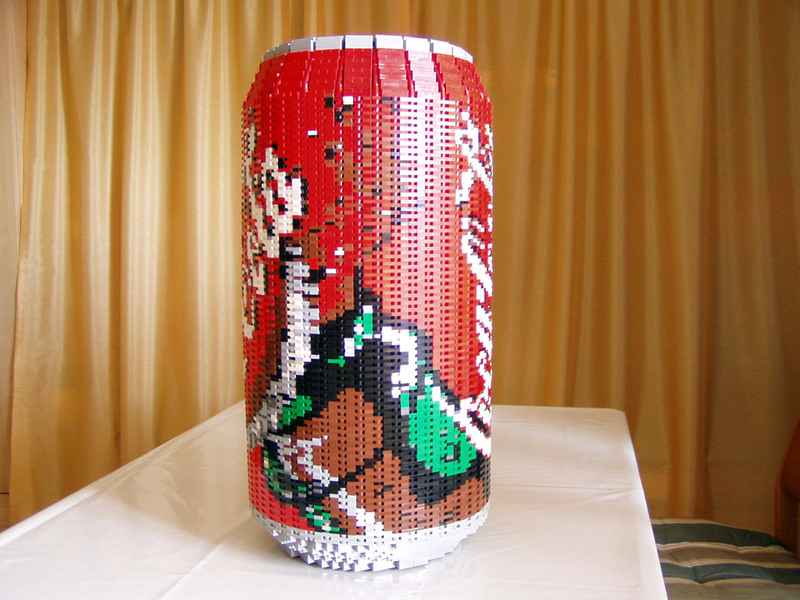 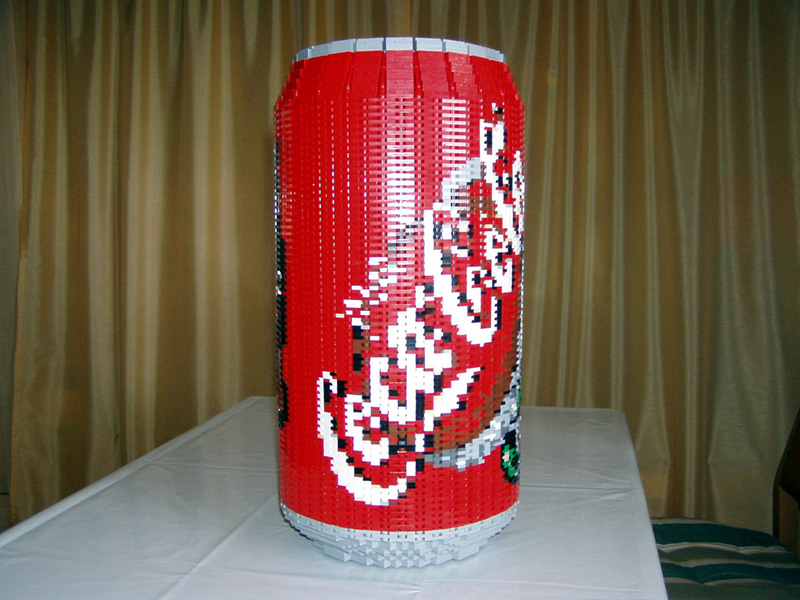 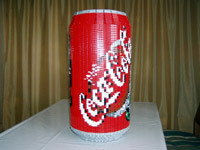 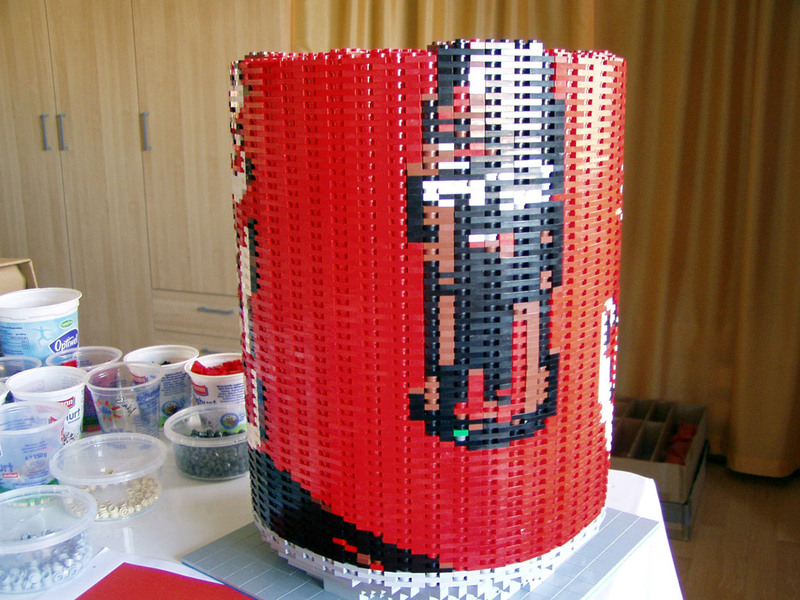 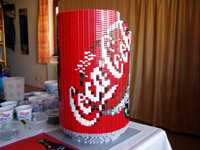 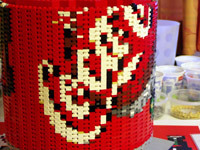 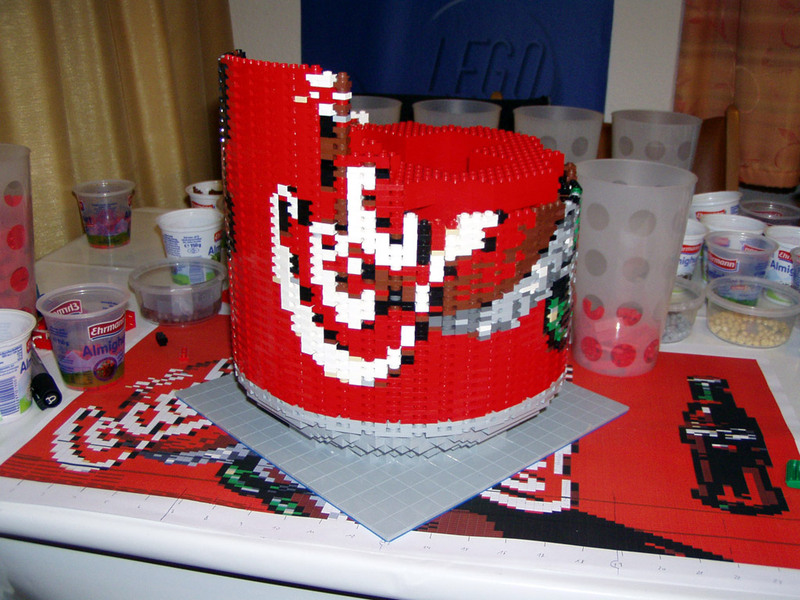 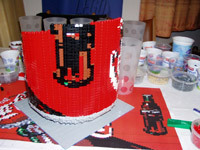 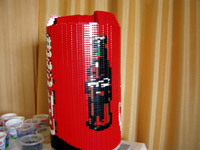 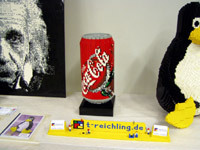 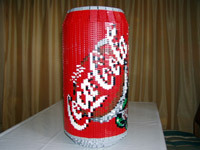 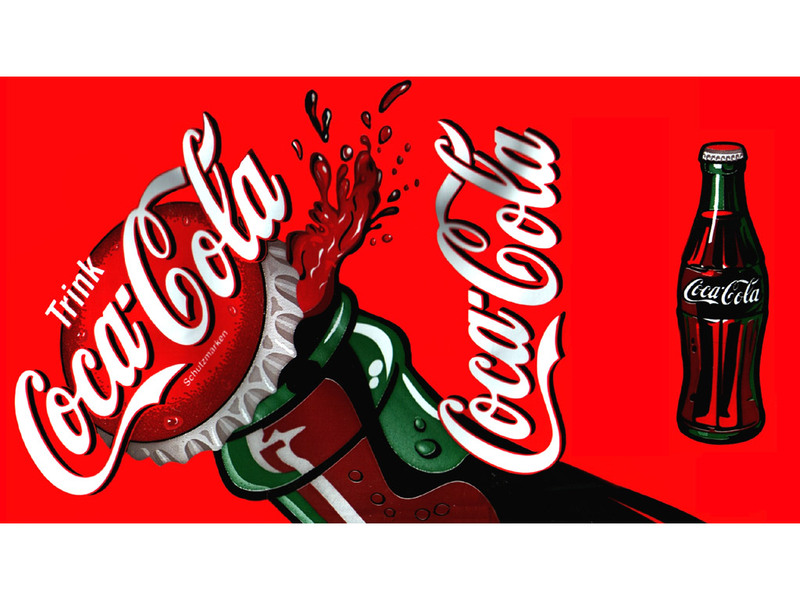 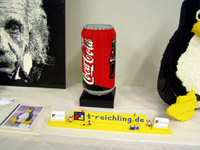 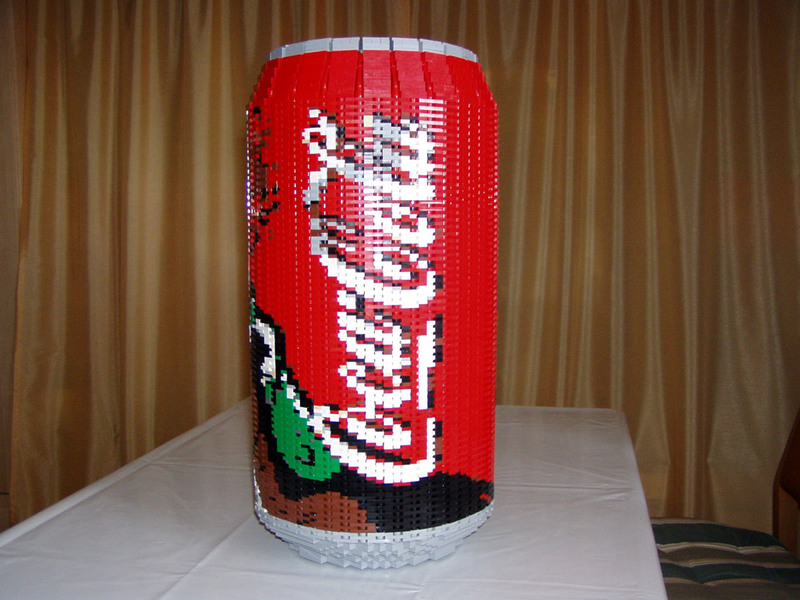 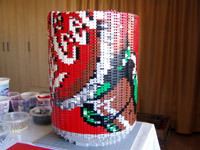 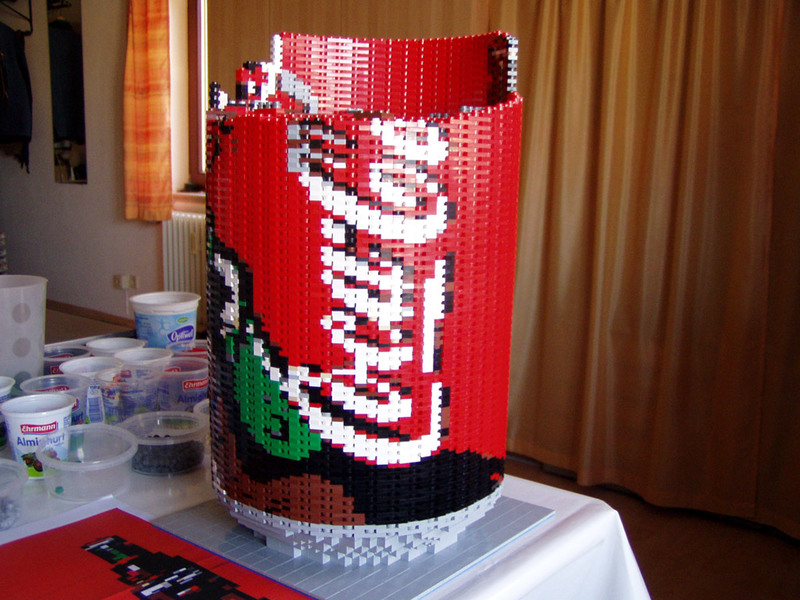 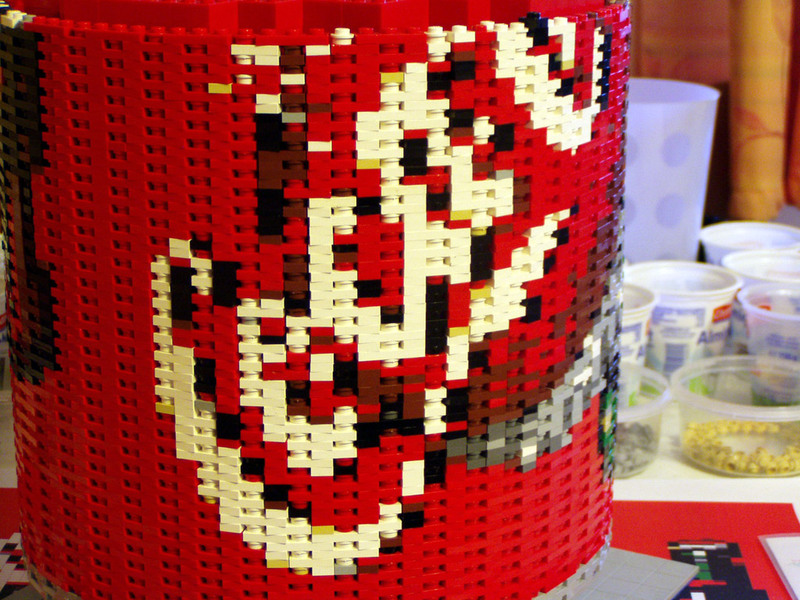 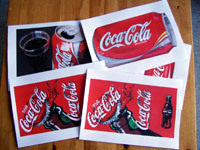 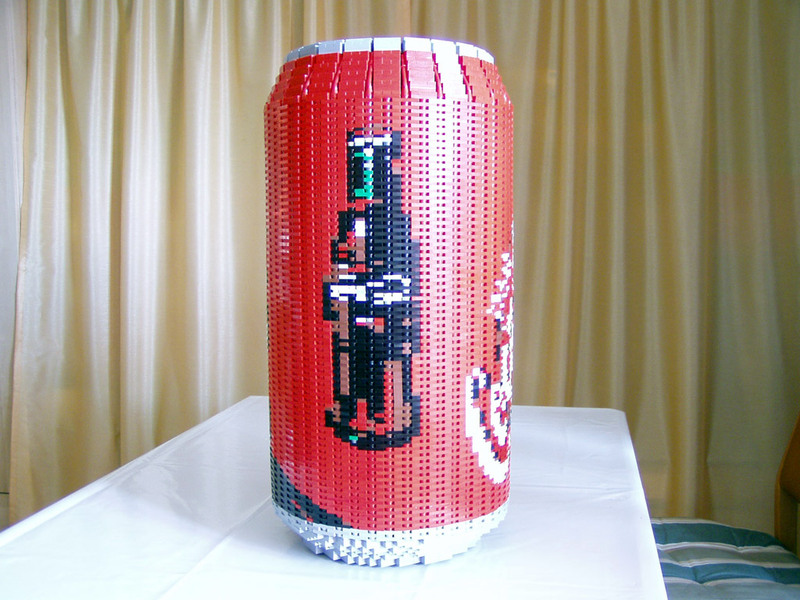 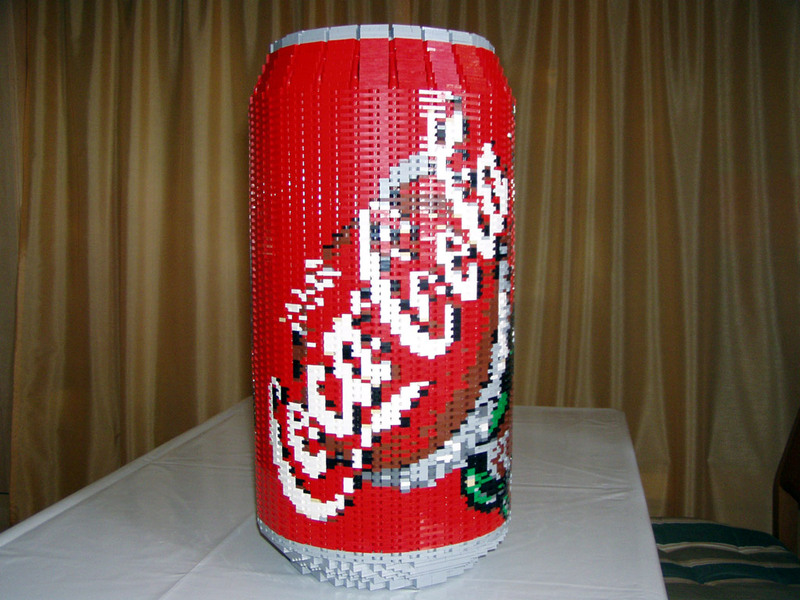 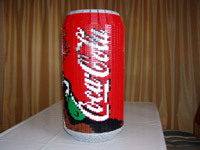 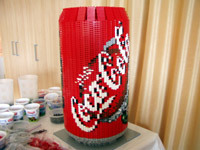 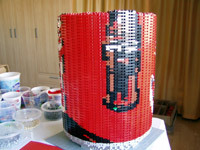 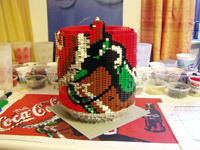 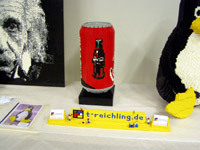 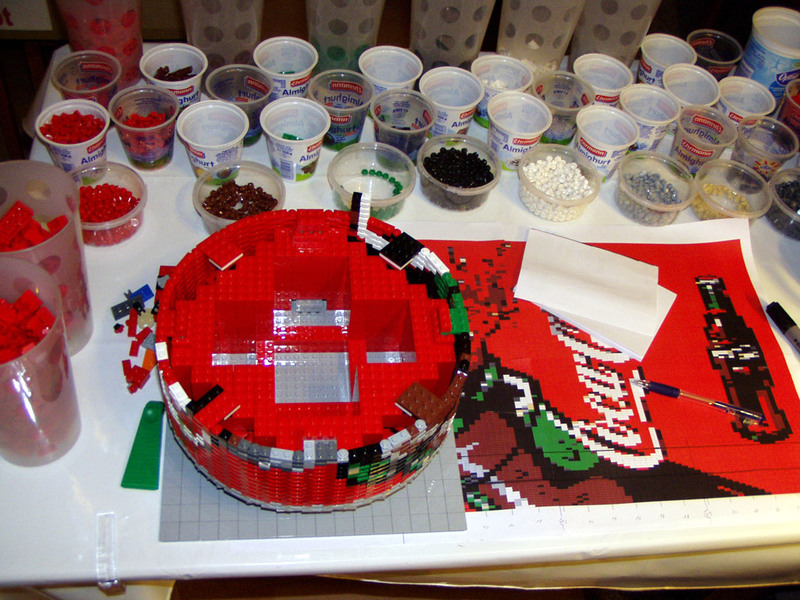 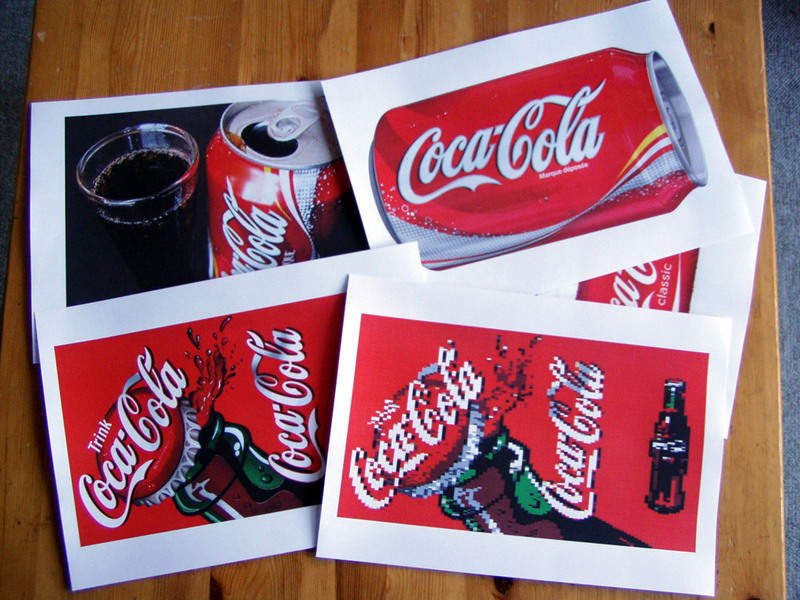 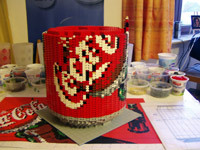 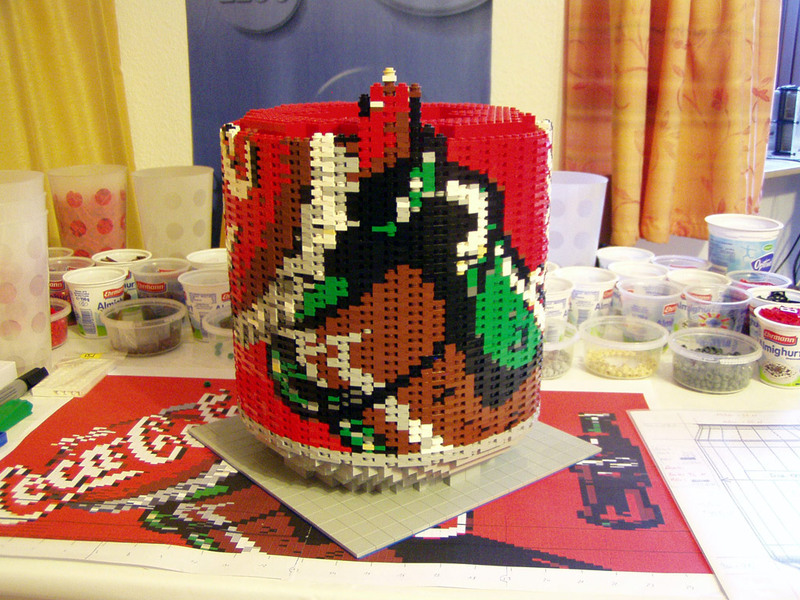 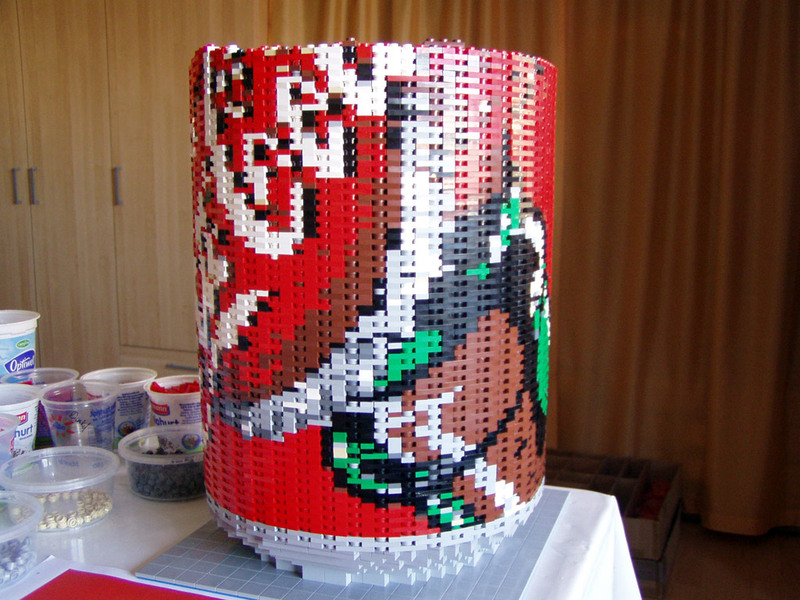 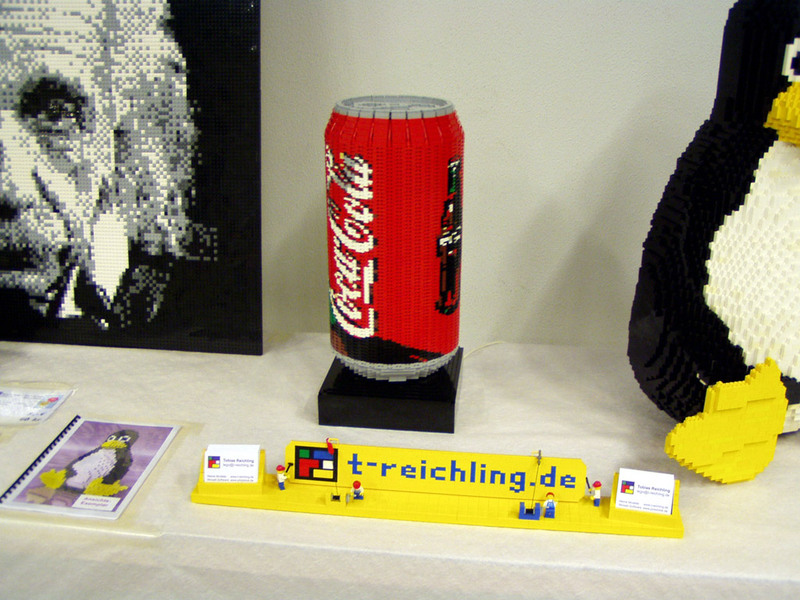 When by chance I held a Coke can in my hand, the idea to create such a can with the wall designed as a mosaic was born. 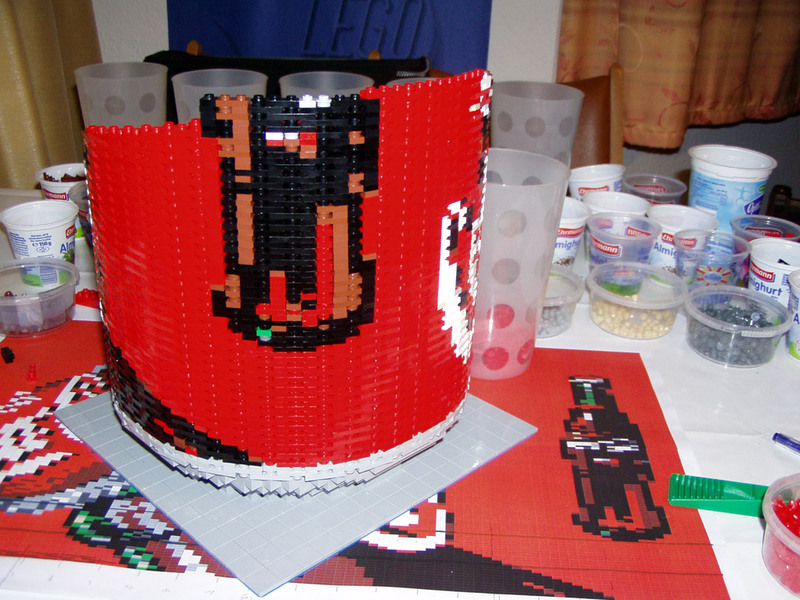 The can was meant to fit on a 32x32 stud base plate. 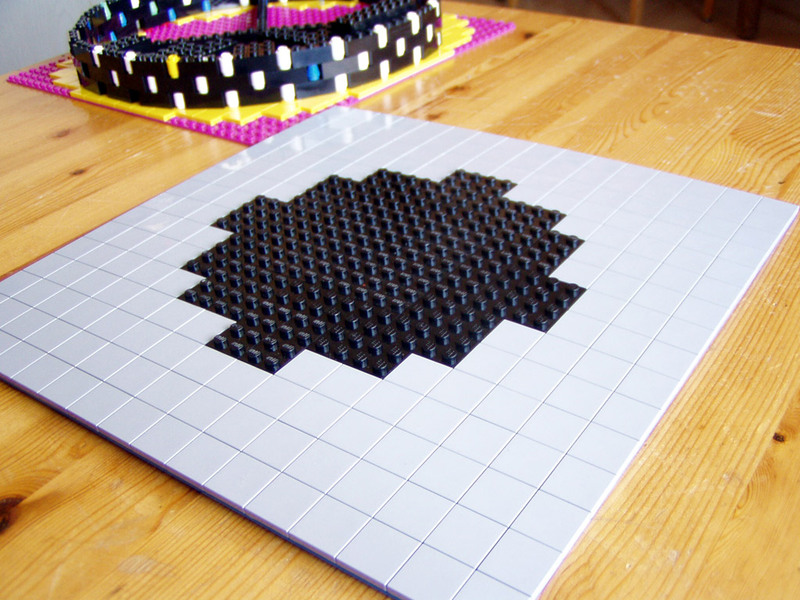 But how was the curvature to be created? 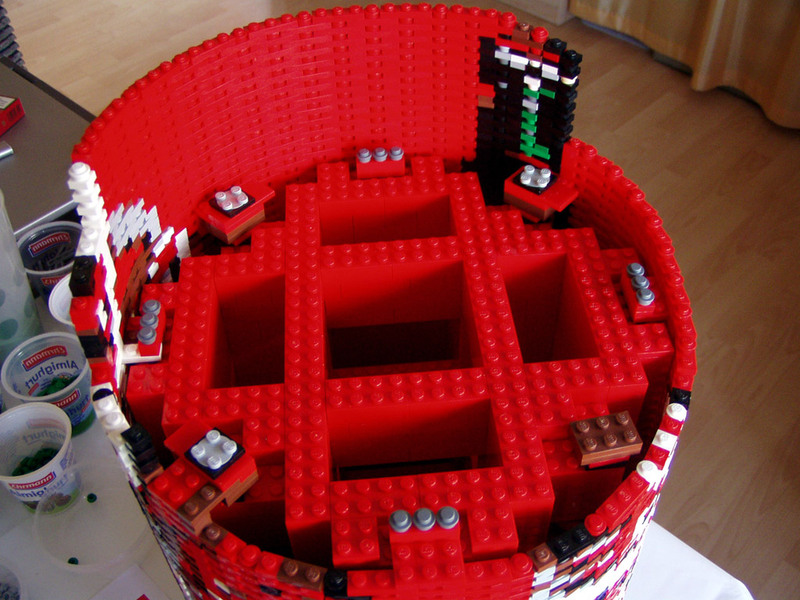 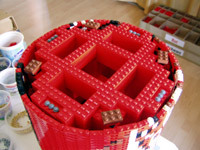 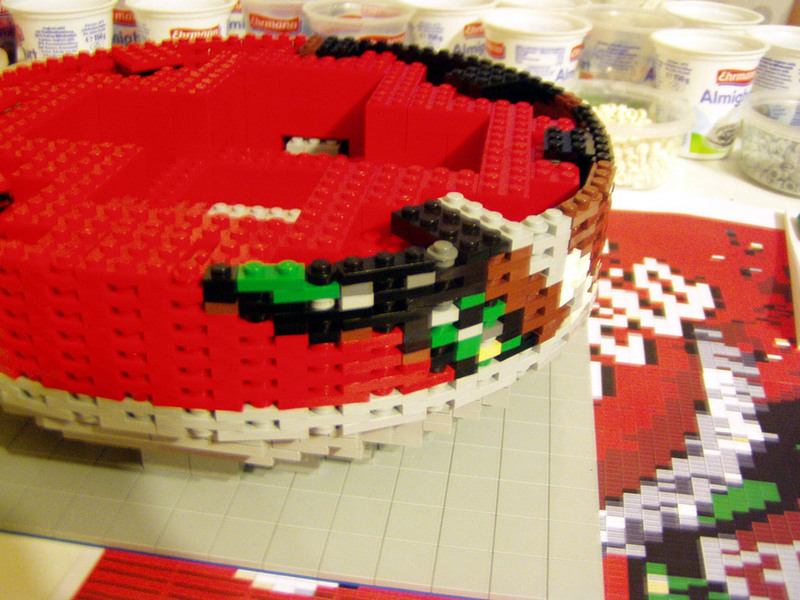 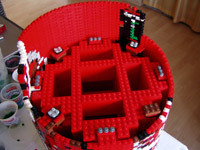 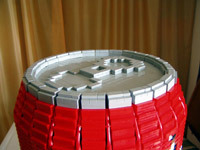 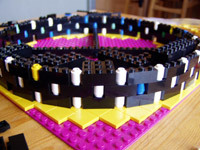 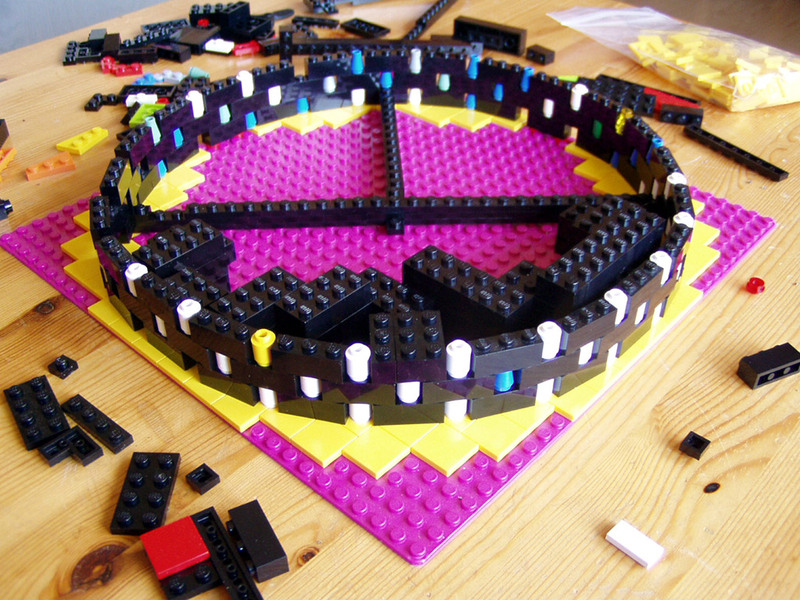 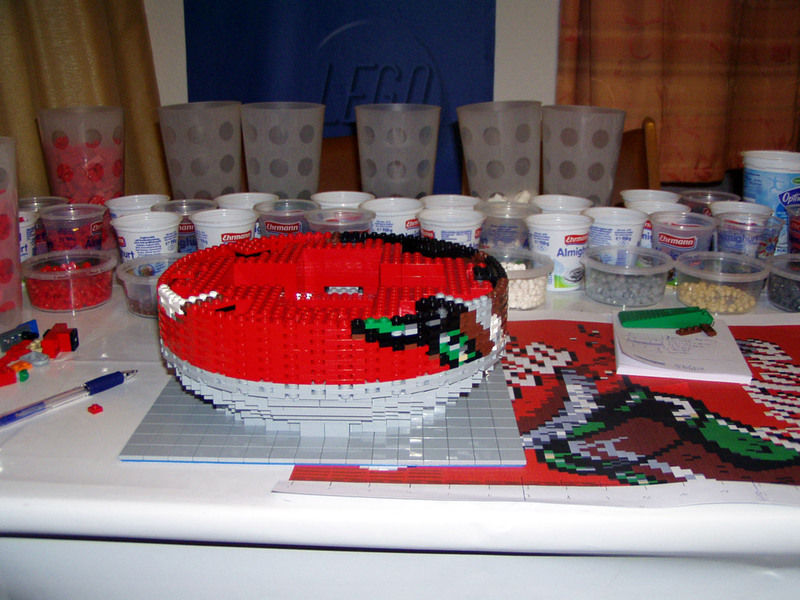 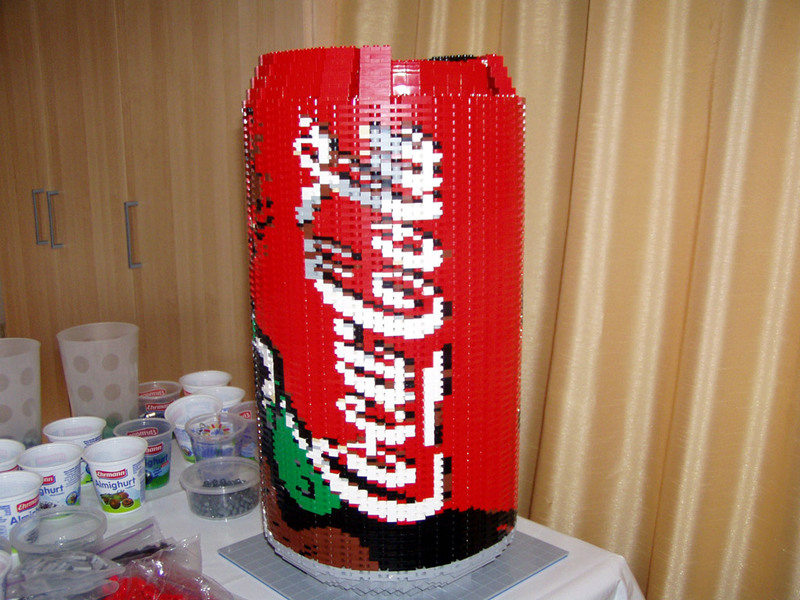 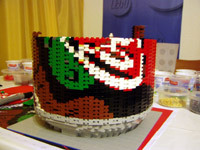 It was impossible to create a curved wall from 1x2 bricks or plates with such a small diameter. 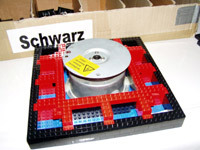 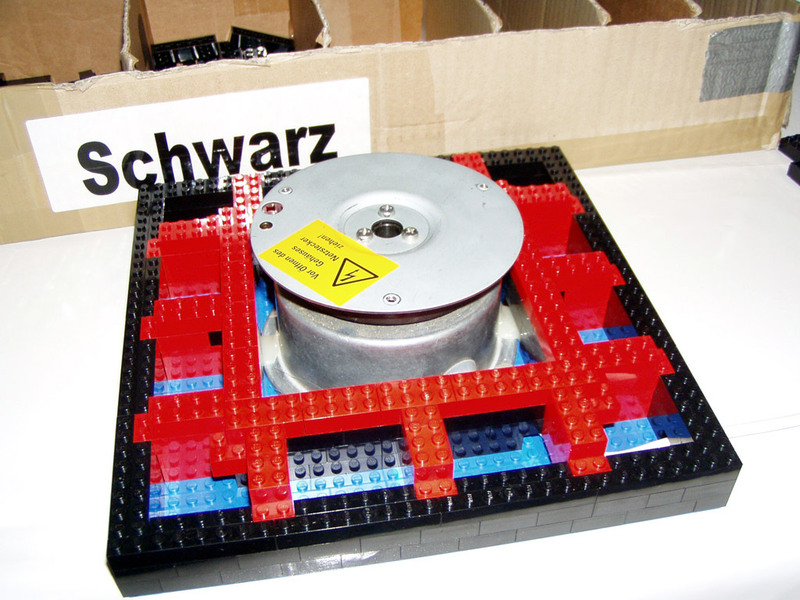 Consequently, a combination of 1x1 round plates with 1x3 plates was used. 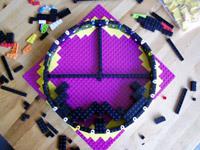 The round plates provided enough space to bend the wall. 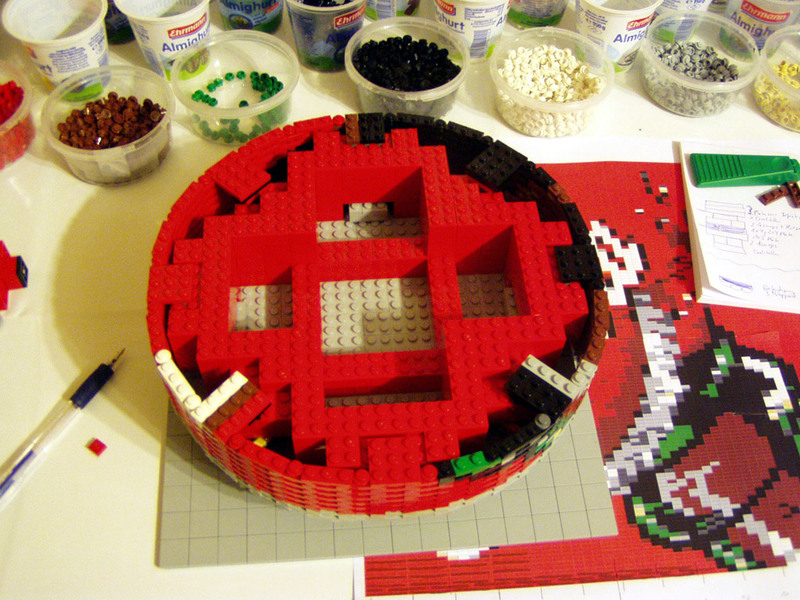 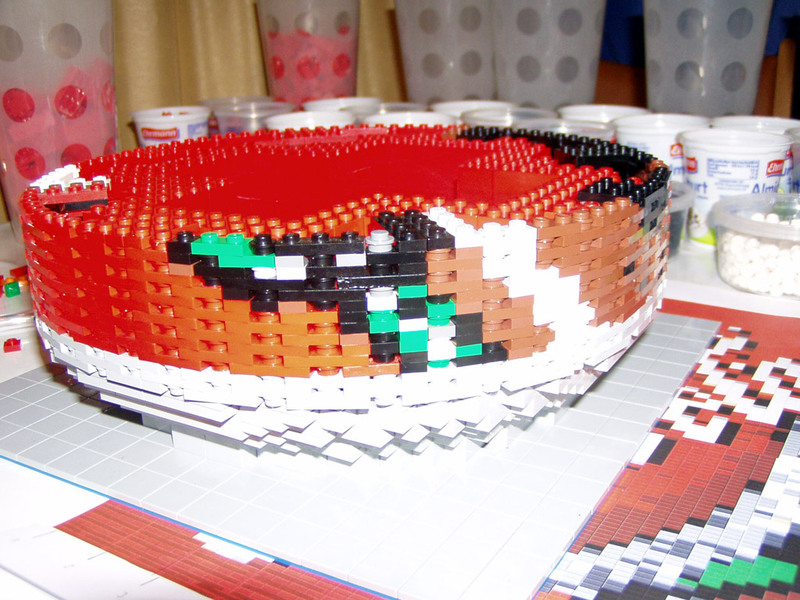 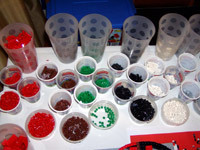 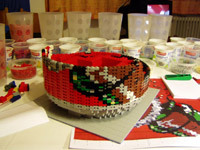 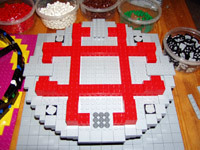 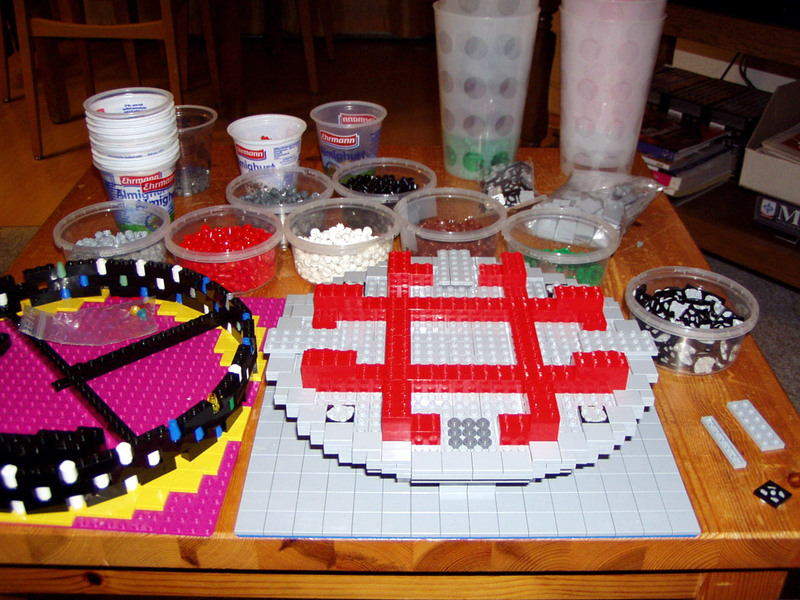 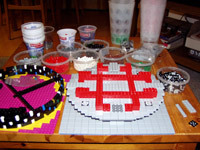 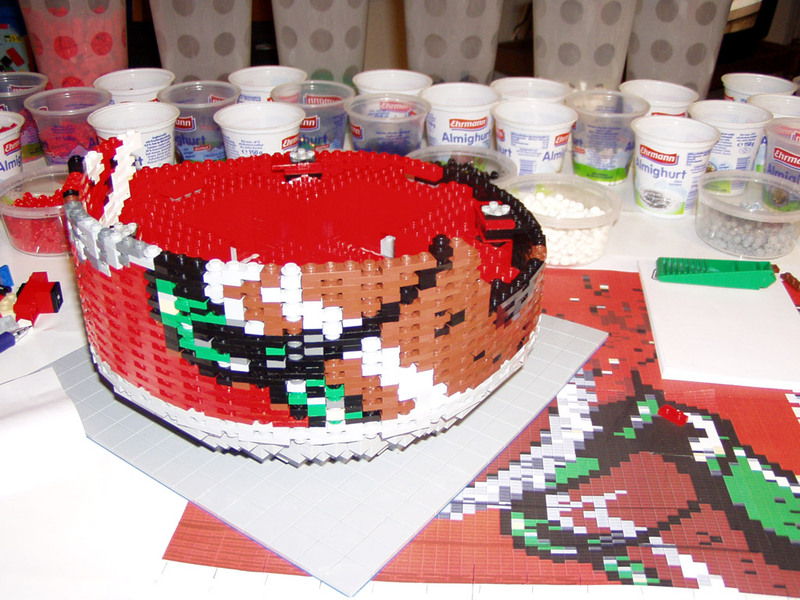 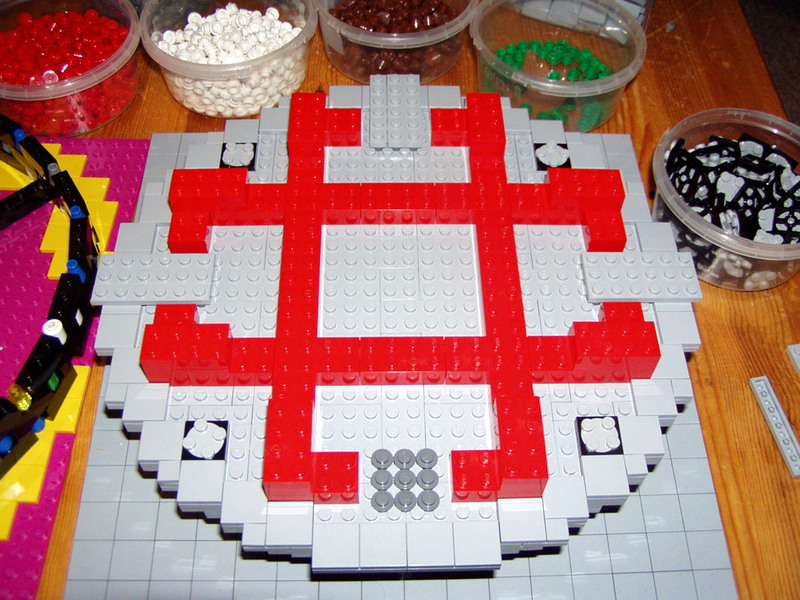 Since different colors were used in the mosaic, it was not possible to rely solely on 1x3 plates. 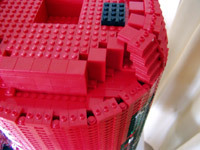 As a result, the wall needed to be stabilized further. 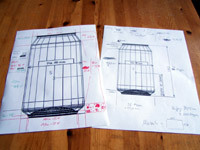 A strong framework was constructed inside the can, which is connected to the wall in eight places. 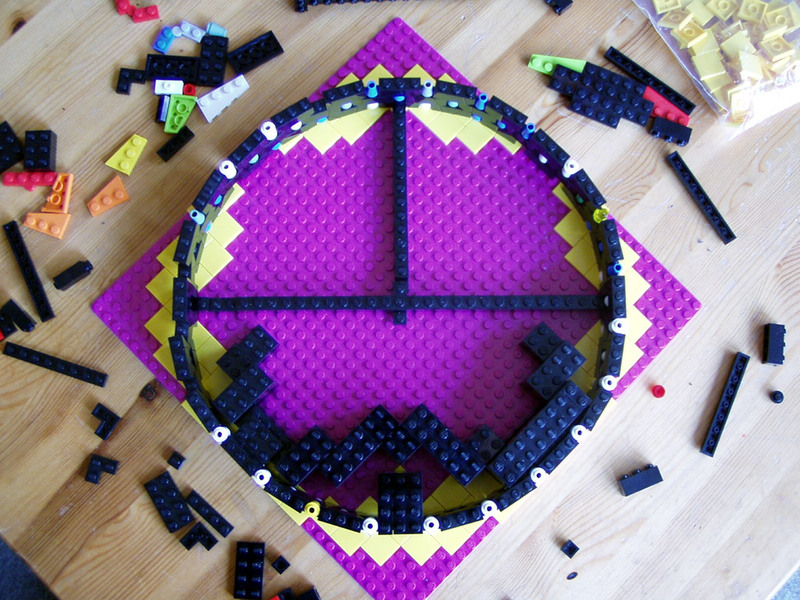 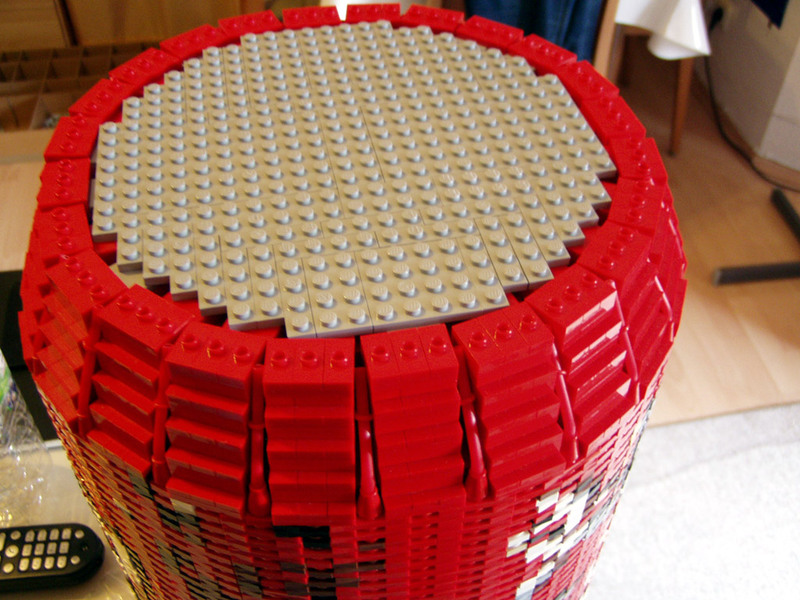 These junctions required a diameter of 31 studs – using jumper plates and 2x2 turn tables to get the right distance and angle. A suitable picture for the side of the can was found after a quick research on the Internet. 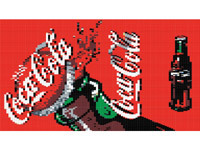 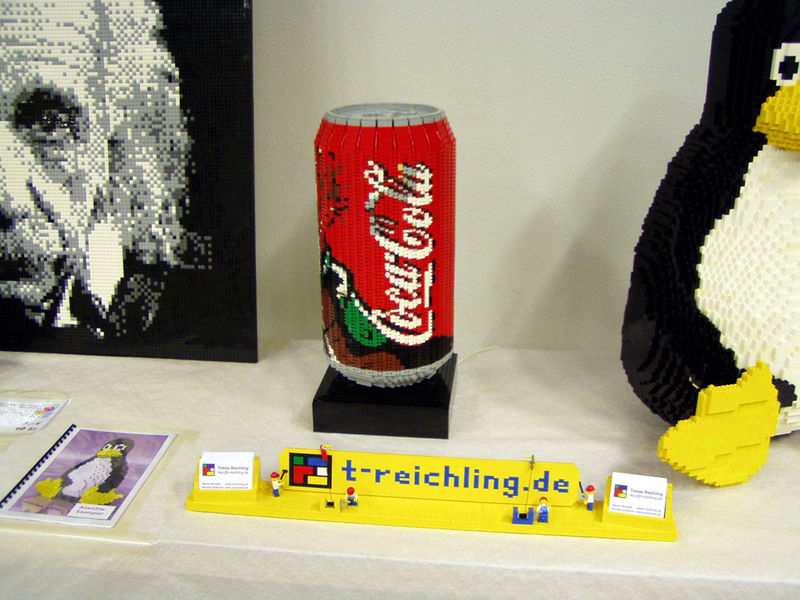 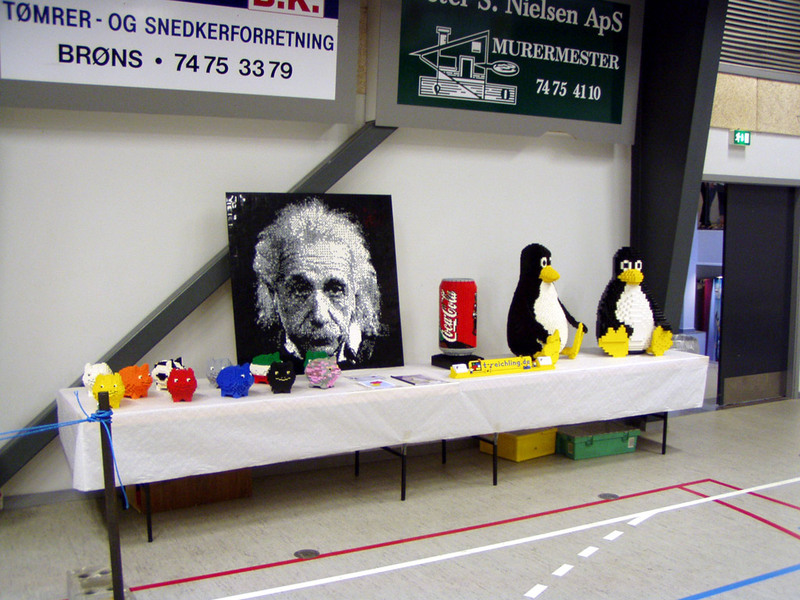 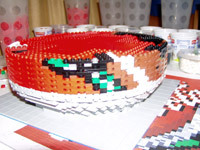 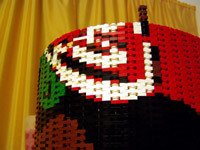 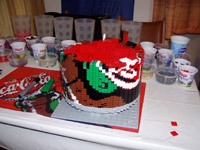 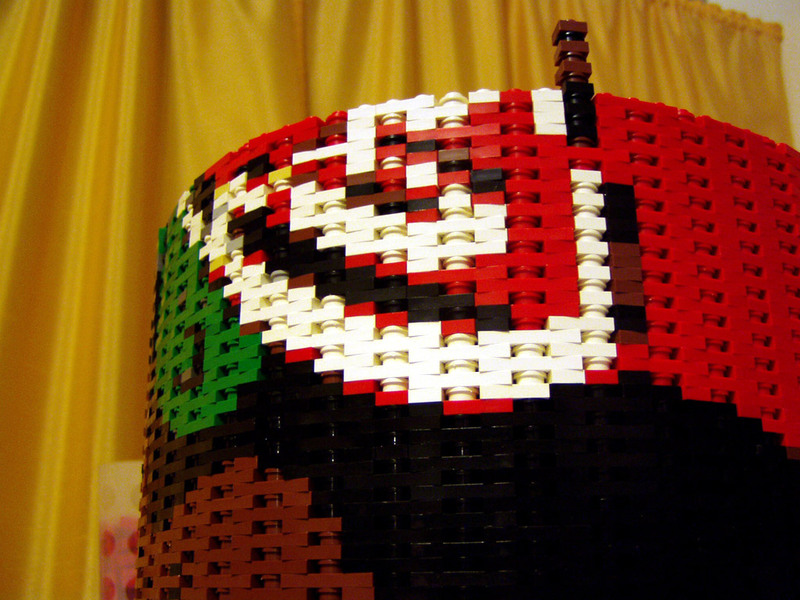 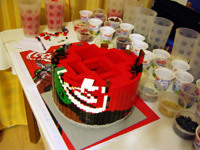 It was adapted using a picture editing software and then used to create a mosaic with PicToBrick. Finally, I was able to start building the can. 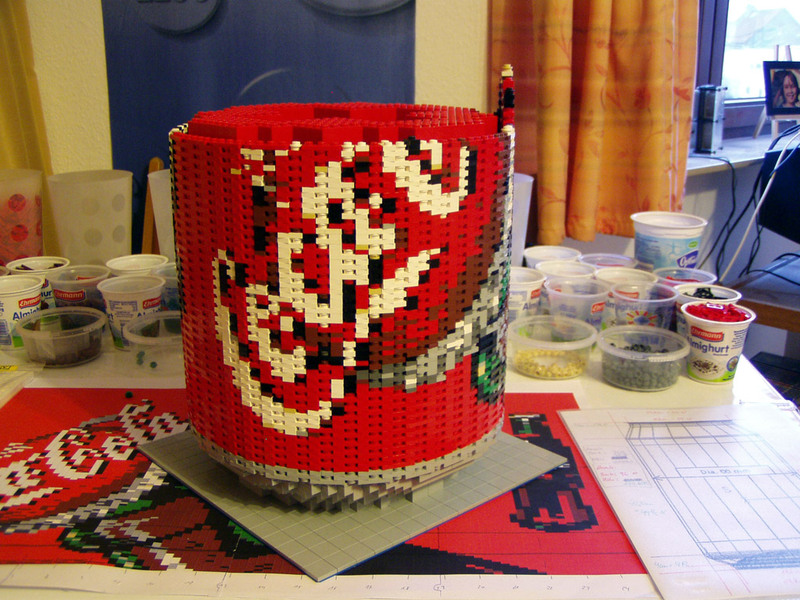 The completion, namely the lid of the can, was a special challenge since the curvature gets narrower at the top. 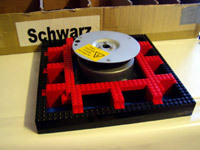 Here, too, jumper plates were used. 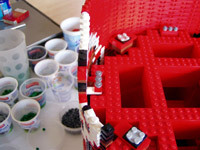 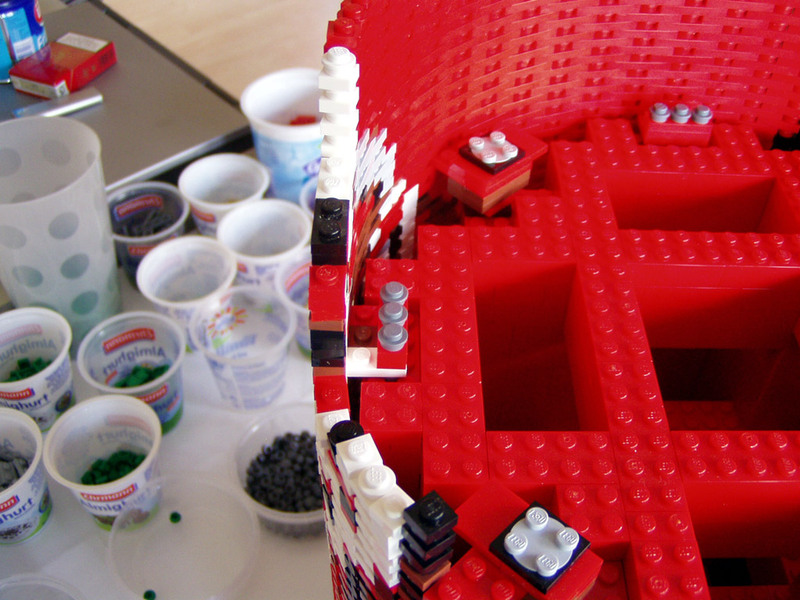 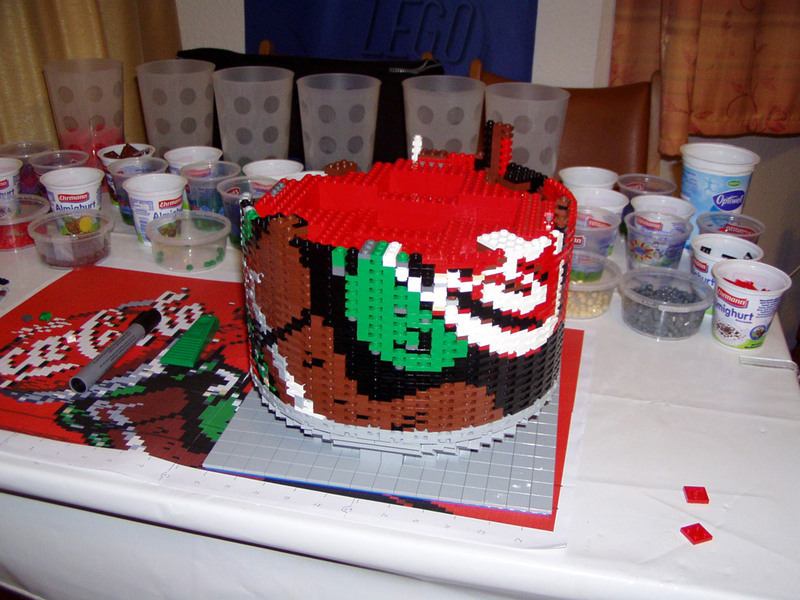 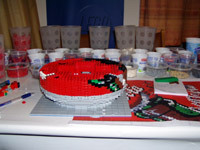 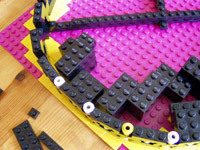 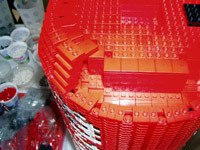 The resulting gaps were filled with 3 mm thick, rigid Lego hoses. 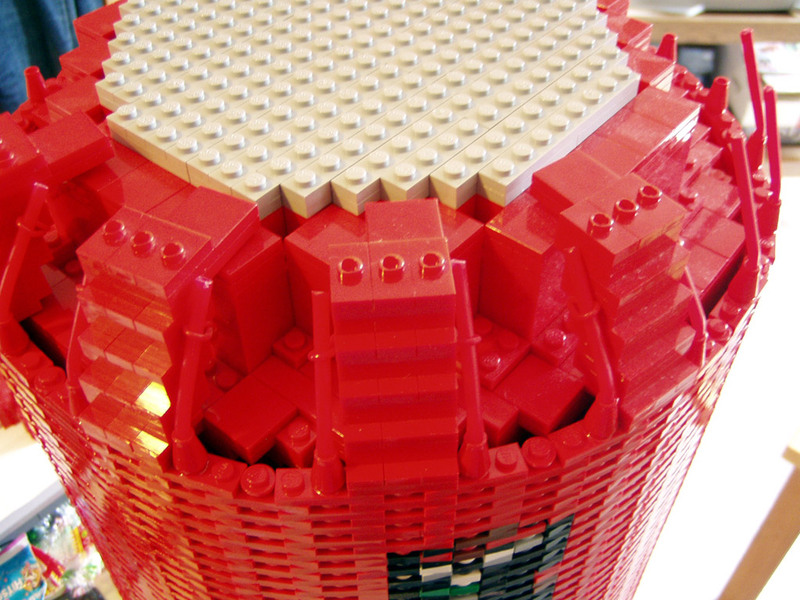 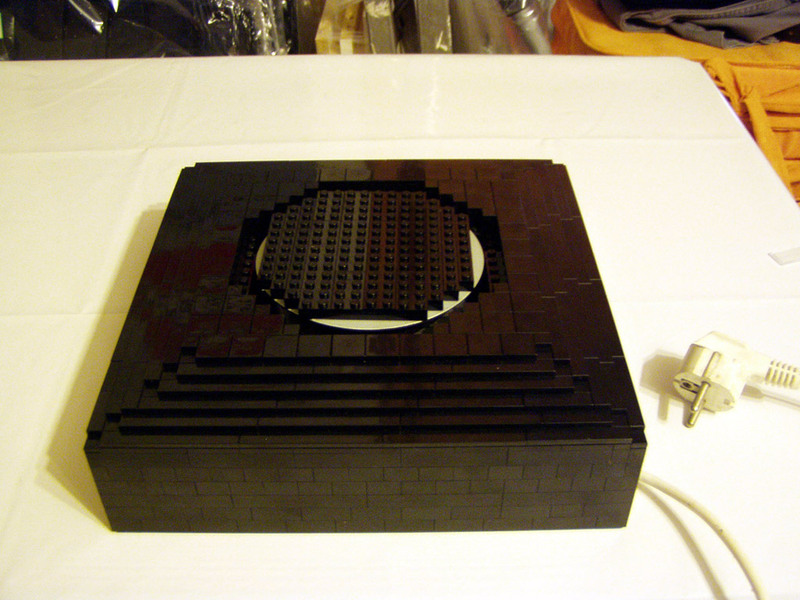 Since the surface is covered with tiles, not a single stud is visible in this MOC.